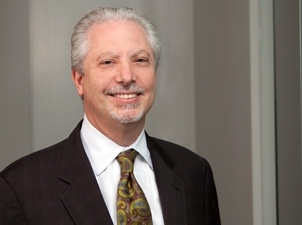 Alan E. Schiavelli, a registered patent attorney, has been strategically preparing and prosecuting patent applications for clients in the U.S., Japan, and across Europe for over 25 years. With his depth of experience, there are few issues he hasn’t encountered or problems he hasn’t solved in dealing with the U.S. Patent and Trademark Office. Al’s clients also turn to him for patent validity and infringement opinions, trademark availability studies and prosecution, and patent and trademark infringement litigation support. Al has developed long-standing relationships spanning decades with many of his clients. He works with a number of large corporations based in Japan, principally in the chemicals and chemical engineering arena. Al’s European clients include small and midsized businesses in the oil and gas research industry as well as the mechanical arts. He also counsels individual inventors and small businesses in the U.S. involved in diverse technologies including pharmaceutical delivery systems and Internet commerce applications. Al’s clients appreciate his characteristic efficiency, which allows him to provide them with a notably high level of service at a reasonable cost. Over several months each year, Al conducts a series of complimentary weekly IP law seminars in Washington, D.C., for trainees from Japanese corporations and law firms. Al and other Fitch Even attorneys instruct the participants on key topics in U.S. patent practice and procedures. Prior to joining Fitch Even, Al was partner at an IP law boutique in Arlington, Virginia, where he practiced for 29 years. Before earning his law degree, he spent over five years as a patent examiner in the fields of metallurgy and semiconductor processing. Represents and advises a global chemical corporation and its related companies in patent and trademark prosecution matters relating to areas including ammunition and technical ceramics. Represents and advises an international chemical company in patent prosecution matters, obtaining dozens of patents over the last few years to expand their patent portfolio. Successfully represented a Japanese chip manufacturer in connection with 10 ex parte reexaminations brought against its patents. Represents and advises an oil and gas research institute in patent and trademark prosecution matters, obtaining numerous patents to expand their chemical and mechanical patent portfolio. Manages a global patent portfolio relating to novel diagnostic methods and systems for detection of Alzheimer’s disease. Manages a global patent portfolio for a prolific team of individual inventors in diverse technology areas including drug delivery systems and Internet commerce. “Understanding AIA 102: Prior Art Exceptions and Declaration Practice," Co-presenter, American Intellectual Property Law Association webinar, January 31, 2018. "Understanding AIA 102: Prior Art Exceptions and Declaration Practice," Fitch Even Webinar, August 17, 2017. “Practical Advice for Overcoming Hurdles in U.S. Prosecution, and Strategies for Creating Prosecution Hurdles for Competitors,” AIPPI-Japan (International Association for the Protection of Intellectual Property), with Stephen S. Favakeh, Tokyo, Japan, April 6, 2017. “Chemical Patent Application Drafting and Interview Tips,” Various corporations and law firms in Japan, November 10–18, 2016. “Patent Practice & Procedure Weekly Seminar Series,” attended by Japanese corporate/law firm trainees, Washington, D.C., August–October 2016. “Patent-Eligible Subject Matter Considerations for Diagnostic Methods,” Corporate client, June 3, 2016. “Recent Developments: U.S. Patent Law and Procedure,” Various corporations and law firms in Japan, April 11–18, 2016. “Patent Practice & Procedure Weekly Seminar Series,” attended by Japanese corporate/law firm trainees, Washington, D.C., October 2015–February 2016. “Court of Appeals for the Federal Circuit Review of Post-Grant Procedures in the USPTO,” Various corporations and law firms in Japan, November 16–20, 2015. “Patent Eligibility Under 35 USC § 101: Working Toward an Understanding,” Various corporations and law firms in Japan, May 20–24, 2015. “Means-Plus-Function and Other Functional Language in U.S. Patent Claims,” Various corporations and law firms in Japan, May 9–22, 2014. “Interpretation of ‘Adapted to’ and ‘Configured to’ in U.S. Patent Claims,” Various corporations and law firms in Japan, May 9–22, 2014. “Awarding of Attorneys’ Fees in U.S. Patent Litigation,” Various corporations and law firms in Japan, May 9–22, 2014. “Patent Practice & Procedure Weekly Seminar Series,” attended by Japanese corporate/law firm trainees, Washington, D.C., June–August 2014. “Patent Practice & Procedure Weekly Seminar Series,” attended by Japanese corporate/law firm trainees, Washington, D.C., January–April 2014. “Leahy-Smith America Invents Act (AIA): First Inventor to File Provisions,” Various corporations and law firms in Japan, May 10–23, 2013. “Post-Issuance Proceedings and Procedures at the U.S. Patent and Trademark Office,” Various corporations and law firms in Japan, May 10–23, 2013. “Manual of Patent Examining Procedure Weekly Seminar Series,” attended by Japanese corporate/law firm trainees, Washington, D.C., November 2012–February 2013.